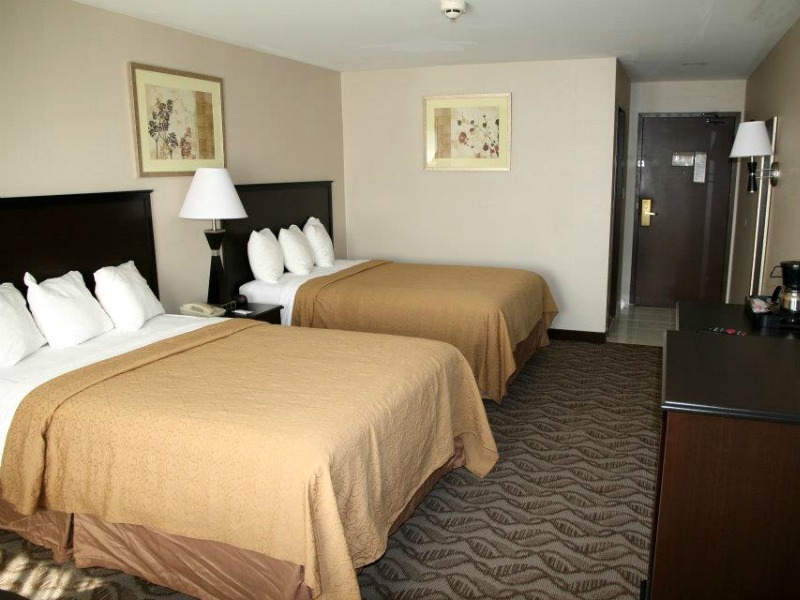 The Quality Inn Niagara Falls - Hotel and Conference Center is a newly remodeled facility with 95 guestrooms and a banquet facility (Antonio's) accommodating over 600 people. Each guestroom is comfortable and includes free Wi-Fi, satellite TV, in-room coffee makers, individual safes, iron and ironing boards and hairdryers. There is also a free 24 hour lobby coffee service, an indoor pool, and Jacuzzi suites are available. On-site restaurant is open daily serving breakfast. Conveniently located in the city of Niagara Falls, and just minutes from the Falls, area attractions, and Seneca Niagara Resort & Casino. Walking distance to shopping and many restaurants. Seasonal Falls/casino trolley available and free parking.